**Bull Creek is a production micro-brewery and not a brewpub as distinguished by Texas State law. Our products may be purchased at various retail outlets and at the brewery for on-premise consumption only. All activities at the brewery are adult oriented and are designed for the enjoyment of adults and only adults, and no one under 21 will be served malt beverages. To provide for the enjoyment and safety of all, smoking is not permitted in any brewery facility or on the general premises. Brewery Tours: We offer brewery tours to the public when weather and production schedules allow. Tour visitors may purchase our latest brews and seasonal offerings for on-premise consumption before and after their tour. Tour groups are limited to 20 persons. Private Gatherings (Spring-Summer-Fall): Groups of 15 to 30, may reserve the brewery outdoor patio area for private gatherings. Please contact us at info@bullcreekbrewing.com for more information. Surprise Sippings: We open the patio area to guests when changes in our production schedules allow the crew some downtime. These short-notice opportunities are announced on our Facebook page. Socials & Day Sippin’: Our neighbors and patrons enjoy the laid-back and friendly atmosphere of our patio for an occasional get-together or a little day sippin’. The patio area is open to all our friends on Saturday afternoons. Please see the Events link for current patio hours. Food trucks and trailers are sometimes available at the brewery on Saturdays; however, our guests are always welcome to bring their own snacks to enjoy with our brews. Société Secrète de Sipper™: Members of The Secret Sipper Society™ enjoy many special brewery activities including invitations to sample new and seasonal brews and “Society Sundays.” See the “SIPPERS” link for more information. 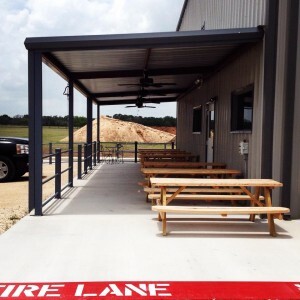 CONNECTIONS: Follow us on Facebook at “Bull Creek Brewing Company” for the latest on brewery happenings.